If your customer contacts you for help or needs service on Virtual Keypad, this week’s VirtualKeypad.com 2.11 release introduces a feature designed to add both dealer and consumer satisfaction. Now, with “Login As Customer,” authorized Dealer Admin users will be able to access the customer’s screen and view the system just as the customer does in Virtual Keypad. This gives the dealer an opportunity to offer quick concierge-level service or is an easy way to offer customer training. Only users with Admin role can use Login As Customer, and activity is logged in the audit trail. The setting must be enabled through dealer settings before it can be used. Once that has been done, you’ll also be able to do things for the customer, such as arm the system, or open a door, or add a user. Anything the user has access to you can see or do for them. The 2.11 release also includes the Enhanced App feature, which customers have enjoyed since it was released last month in the iOS app. 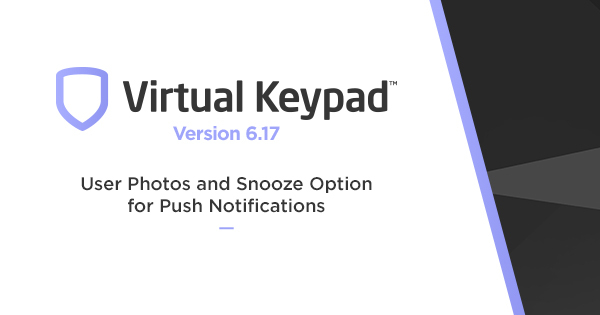 Now VirtualKeypad.com opens on the arming status screen so you can immediately go directly to the features you use the most, as long as you have saved your user codes and checked the “Remember Me” option. With the 2.11 release, you can also bookmark specific tabs in Virtual Keypad that will bypass logging in when you select them in your browser. Please review the instructions available in this Technical Update. If you have any questions, please contact DMP Inside Sales at 877-757-4367 or at InsideSales@dmp.com.